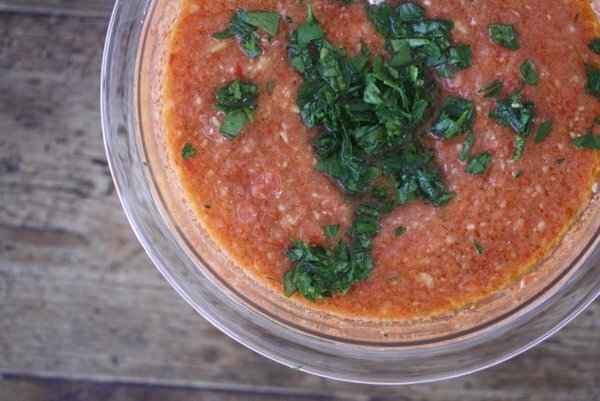 This condiment is basically a thicker, smoother version of the classic Spanish summer soup. 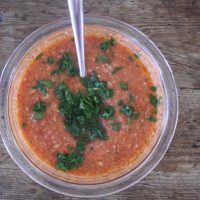 It tastes better the longer it sits, and it's a great refreshing topping for grilled chicken or steak. Spoon it over the piping hot meat right when it comes off the grill. 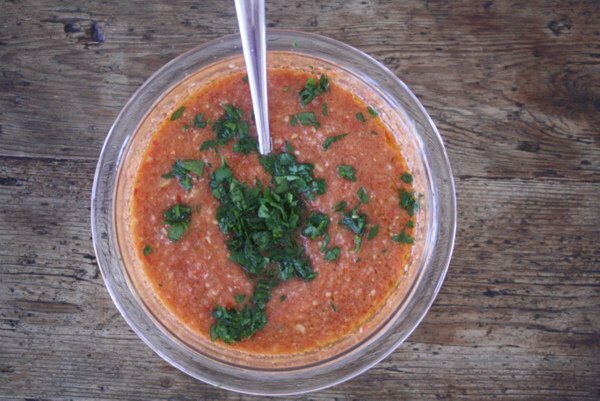 If you have any leftover, you can always add tomato juice and a little olive oil to make it into soup consistency. 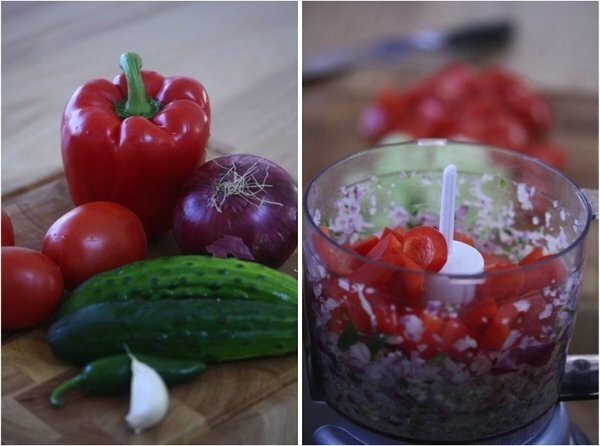 Put the onion, garlic, and jalapeno to a small food processor and pulse until finely chopped. Add the tomato, bell pepper, cucumbers, olive oil, vinegar, and seasonings. Puree until smooth. Transfer the mixture to a serving bowl. Taste for seasoning and add more salt or cayenne as necessary, depending on how much heat you can handle. Fold in half the parsley and garnish with the remaining. Serve alongside grilled steak or chicken.